Don't close this page, we are processing your order. There was a problem while processing your order, please click here to contact us and we'll get back to you as soon as possible. As Gmail power-users, we were frustrated by the suboptimal experience of using it in the browser, among countless other tabs and distractions. That's why we've built Boxy for Gmail. 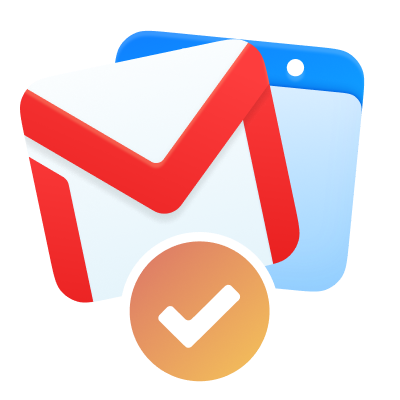 It's the Gmail experience you're familiar with, but much better. We restyled Gmail's dark theme to perfectly match Mojave's Dark Mode. A completely refined, more compact interface compared to the browser. Enjoy a much cleaner and minimal Gmail UI. Only with Boxy Suite. Familiar macOS shortcuts on top of Gmail's ones you already know. Search through all your emails, instantly, with Gmail's built-in search and advanced filters. When you click a "mailto" link in your browser, Boxy for Gmail will launch and set up a new message for you. Use Reader Mode to enjoy a pleasing, distraction-free reading experience. Links in Boxy for Gmail will launch Boxy for Calendar, not yet another tab. Quickly show and hide Boxy for Gmail. Right there when you need it. There are so many great calendar apps out there, still many of us fell in love with Google Calender and wish they had a great Mac app for it. Now there is one. Boxy for Calendar shows the current date both in the Dock and in the status bar icon. Enjoy your calendar in unique, custom-built themes: Light, Dark and Black. As G Suite customers ourselves, we always make sure to keep the clients up-to-date. We work hard to polish and refine the web apps to make them look perfectly at home on macOS. Access your accounts with quick shortcuts or with the Dashboard (more below). Get notified about events from all your accounts.